How many spots are left, is there going to be a list of who is in the Ace Race? Also, is there need to pre-register for the doubles tournament after the ace race? Sure we will have 30 to 40 in the ace race and hope to have 60 + for the tournament. Disc golf players are not so great at signing up early but we do expect a large sign up before the tournament. Don't think we will have a complete list of competitors before the ACE race, and you can sign up for the doubles prior to the event. See you there! I'll be there. Hitting the Aces and walking with the new bag full of plastic. Come big or stay home boys and girls. If only my game was good enough to back up my smack talk. Hey guys!! I got to take a look at all the stuff that came in for the tournaments last night and let me tell ya the player packs we are doing are SICK!!!! We got tons of cool things in. It was like Christmas looking through everything last night haha. first place winners are going to be stoked on what they win and also all the ace race stuff came in as well and I love those putters!! Ill see everyone there this weekend! Jeff is right I couldn't believe some of the goodies we have for the tournament. We also have gotten some good donations for Ring of Fire prizes. 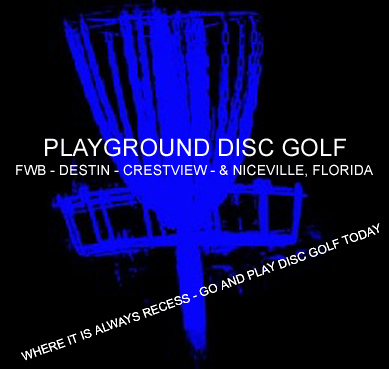 I'm looking forward to seeing everyone tomorrow for a great day of Frolf!!! Oh and Sunday for some Aces!!! Also, if anyone wants to help out we will be setting up at 7am and can use as many hands as possible. And if you have a push broom bring it with you we are going to try to have them setting out on the course to keep the tee boxes clean. Thx. Thanks for putting on a great day of Disc Golf! Had a good time with both the Ace Race and the doubles tournament! I just want to thank everyone that came out Sat. and Sun. I hope everyone had a good time. Congrats to Steve Hollis for winning the ace race yestereday and also to all the winners on Sat. Thanks for having me. I had a blast. Congrats again to Steve H. You couldn't have had a nicer guy win it. Also cool to see the young man come all the way over from Baker High School in Mobile, AL. Matt D wrote: Thanks for having me. I had a blast. It was def. cool to have him and 2 other mobile guys come down for the ace race and also thank you Matt for making the journey down.